Spring is finally in bloom! 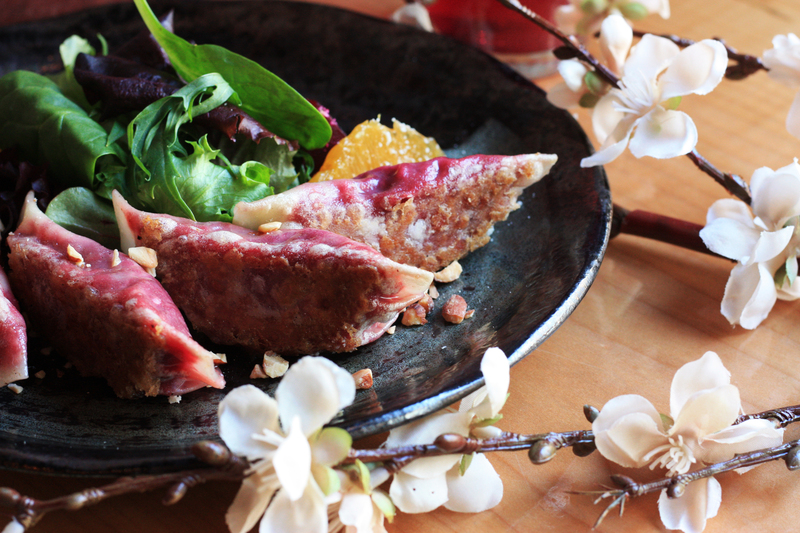 Celebrate this year’s cherry blossom season with us with our Sakura Features menu. 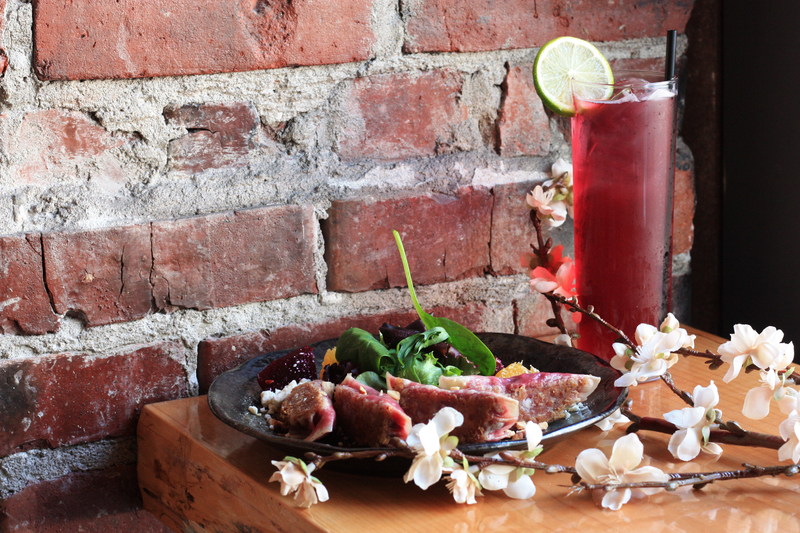 We’ve selected three of our favourite spring-themed items, including a cocktail, signature gyoza, and dessert. 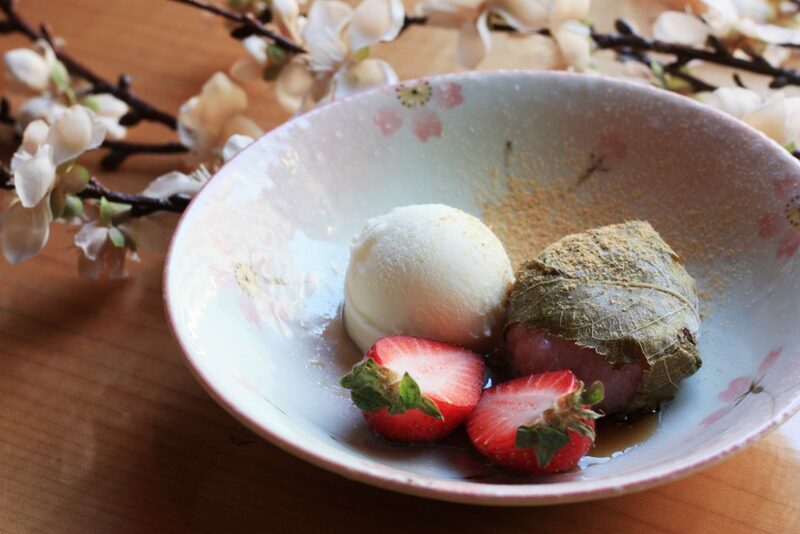 Check out our full Sakura Features menu here. 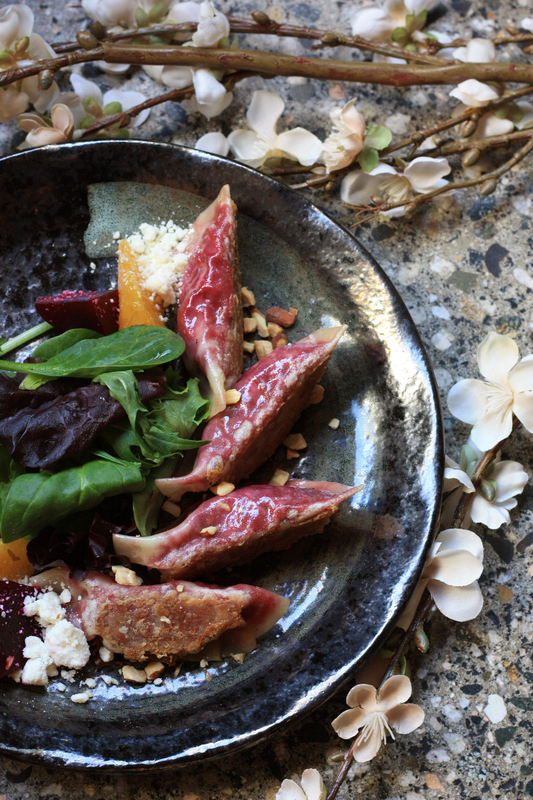 Crispy, juicy, and packed with flavour, our Beet Gyoza is roasted and served alongside a refreshing Market Salad with feta cheese, pickled beets, fresh orange, and toasted almonds. Back by popular demand! 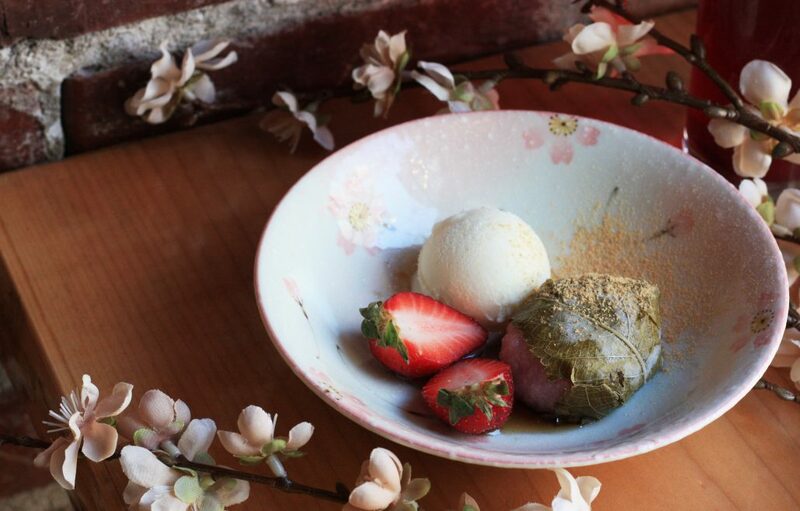 The Sakura Mochi is a traditional treat in Japan, eaten during the spring season. Sweet azuki bean wrapped in pink mochi and pickled cherry leaf (which is edible! ), served with kinako and vanilla ice cream. The perfect way to finish off your evening!